That’s the way one professional furniture builder described another recently during a shop tour. The shop owner does a lot of bending and laminating and has upgraded much of his equipment (especially clamps and jigs) to pneumatics, so he was showing off his new setup. Fortunately, these two are good friends and the comment was taken in a spirit of jest. But joking aside, the question remains: is becoming an airhead the smarter path for a woodworker? Among the reasons that woodshops use compressed air to run tools are weight, maintenance and noise. Take, for example, a palm sander. Because there is no motor, a pneumatic sander can actually weigh less than an electric one. True, a few ounces won’t matter — unless you’re running it several hours a day or maybe above your head. Because there’s no motor, air tools seem to last forever. If there are no moving parts under the hood, then there’s nothing to break. And sound is definitely an issue. One of the biggest advantages to air tools is that the annoying, high-pitched whine of a universal motor is gone, replaced by a sonorous, soothing tone that saves both ears and nerves. Well, it’s soothing as long as the compressor is located in another room behind soundproof doors. Pneumatic sanders are generally less expensive up front than good quality electric ones, but a woodworker needs to factor in the cost of a large stationary compressor in the equation because a sander will use a lot more air than a small, portable compressor can provide. You should check the manuals on both the tool and the compressor before marrying them together. You’re looking for CFMs (the volume of air) at specific PSI (air pressure) and need to compare apples to apples. If your compressor delivers high volume at low pressure and the tool uses high volume at high pressure, you have a problem. If you’re having a tough time understanding the info on the labels, it’s a good idea to visit the website of a knowledgeable pneumatic tool dealer such as Grainger or Burns Tools, or ask a compressor manufacturer such as Rolair, and they can generally help you match a tool to the power source. 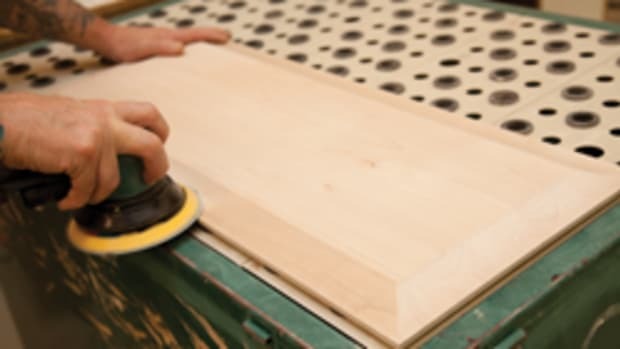 One disadvantage of pneumatic tools is that they are not cordless and sometimes a neophyte (or even an overconfident old hand) can allow that heavy airhose to tip the sander and dig a half-moon-shaped hole in a veneered panel. The solution is to suspend the air supply lines above the work, rather than allowing them to run across the floor. When it comes to delivering power, there’s room for argument, too. Some air-powered sanders have a lot of torque, while electric ones usually have more options when it comes to varying speed and orbital patterns. Dust collection can be a problem with traditional pneumatic sanders as there’s really no way to hook a vacuum line to them. However, Festool has come to the rescue with its LEX sanders that include a 3-in-1 hose design (festoolusa.com). It supplies air, extracts dust and provides an exhaust (the air has to go somewhere) and does it all through one hose. 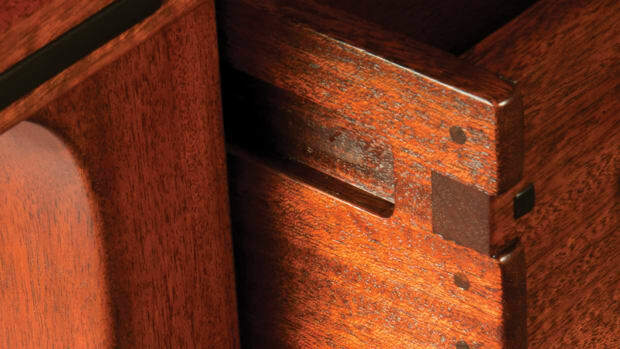 Beyond sanders, compressed air is the power source of choice for mechanics’ tools that woodworkers occasionally use, such as impact and ratchet wrenches. Air couplings allow for very quick switches from one tool to the next and having a couple of wrenches set up ahead of time with the right sized sockets for assembling, say, knock-down furniture or table leg hardware, can make a job go very fast. Any shop that is building casework already knows how valuable air nailers and staplers are in assembly. Nails are not great intra-fiber friction fasteners in themselves, but they will generally hold a joint together until the glue cures. 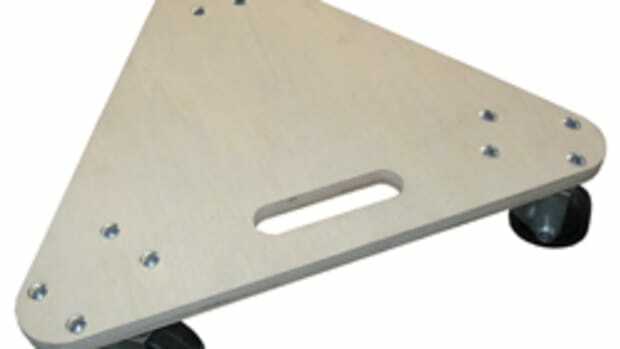 And staples, because they spread the pressure, have a lot of holding power, especially in fractious materials like MDF. When I called around, several pneumatic tool manufacturers mentioned that air tools offer a much better power-to-weight ratio than electric tools, so we retired to the shop and did a little weighing. That statement seems to be true of some, but not all, tools. For example, our air-powered routers were lighter than their electric cousins, but the electric pin nailer weighed less than the pneumatic one. Air tools are often touted as having more torque and higher revolutions per minute, too. Pneumatic tools tend to take up less space on the bench, because they don’t have power cords attached to them or banks of battery chargers plugged into the wall. However, air hoses can cost the tools that advantage if they’re not properly managed and routed. In general, air tools appear to be safer than electric ones (although today’s power tools are incredibly safe). Trigger releases (such as the pressure locks on pneumatic nailers that stop the guns firing unless the release is engaged) do seem to be more universal in the pneumatic world. The delivery system is safer, too: an installer using a pneumatic tool while he inadvertently stands in water won’t become a conduit to ground as he might if an electric power cord shorts. This is a very real consideration in situations from bathrooms to boat repair. Where air tools shine, of course, is in the finishing process. Pneumatic HVLP spray systems deliver an even, predictable flow of finish without noise or heat or dust issues. For installers, the prospect of replacing grinders, chisels and impact hammers with air-powered versions is an attractive one because the air-based versions are often more robust. The potential downside here is that the on-site compressor needs to be quite large, so a truck-based or even a trailer unit might be worth a look, depending on the size of your install crew. When smaller compressors need to recharge or cool down, they can hold up the job because there’s no compressed air to run the tools. There are some cordless nailers out there, but they aren’t pneumatic tools. They use a gas cylinder and a battery-based ignition system and, while they look a lot like a standard pneumatic nail gun, they’re very different animals. We framed a house in Wyoming with them a couple of years ago, where the lot was a little above 6,000 feet altitude and they became quite temperamental, especially when the weather turned cold. But for most framing and finishing jobs, they are a very viable and inexpensive option when one considers that there’s no need to buy a compressor or a generator. In the woodshop (as opposed to being out on an install), they don’t make as much sense: less complicated standard guns running off a compressor will be less likely to fail and cheaper to run. Electric motors are cooled by ambient air and they have to work harder in extreme conditions, especially heat. The single, large electric motor that drives a compressor is a lot more rugged, durable and longer-lasting than the dozens of small motors it can replace in drills, sanders, routers and so on. And those small motors do fail: we’ve all had electric drills die on the job, usually when we are miles from the nearest hardware store or when there are only two more screws to drive in the last hinge before we can deliver the entertainment center. If you do add pneumatic options to your woodshop, the compressor manufacturers have a few words of advice for you. Keep the air supply lines filtered for both foreign bodies (dust) and moisture. Look into backflow prevention (small valves that only allow the air to flow in one direction) and use separate lines for the tools that need inline lubrication and those that are sealed and don’t need oiling. Turn off and unplug the compressor at night and when the shop won’t be used for several days. A master switch can be installed by an electrician and located right at the compressor to make this easier. 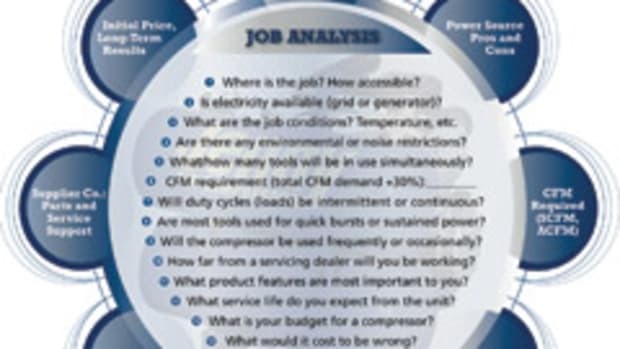 If there’s a leak in the hoses, pipes, filters, oilers or any other part of the delivery system, the compressor can cycle continuously trying to meet the perceived demand for compressed air. In some cases, the pump and/or motor can overheat and start a shop fire. It’s also a good idea, based on that, to maintain a zone around the compressor that is completely free of flammable material such as wood, packaging and especially finishing supplies.